Ipomoea includes about 500 individual species. In Hawaii, 14 species are native. In the 19th century, Chinese immigrants brought the edible Ipomoea aquatica (also known as ung-choi in Asian cuisines) to Hawaii. 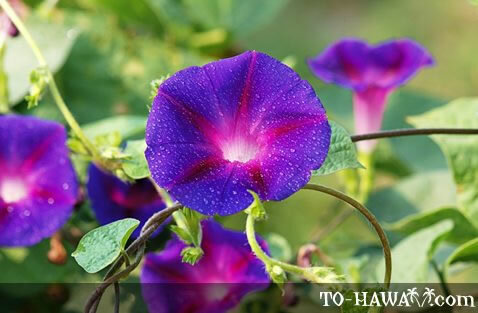 The beach morning glory (Ipomoea pescaprae) is an indigenous shoreline plant and can be seen on many Hawaiian beaches. The sweet potato (Ipomoea batatas) was a staple among the ancient Hawaiians.